Before they moved in, they had already built a new main stand and accompanied this with open terracing on the remaining sides. The stadium was bowl-shaped back then, and could hold about 40,000 people. 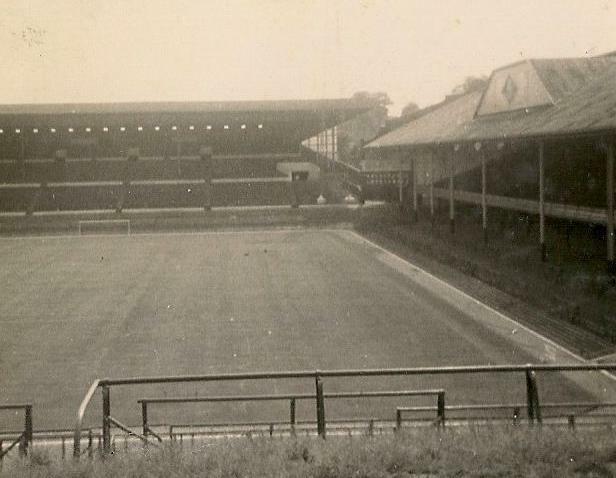 Aston Villa opened their new ground on the 17th of April 1897 with a friendly match against Blackburn Rovers (3-0). In the next two decades Villa Park got gradually expanded, and in 1913 lost its bowl shape when the cycling track got removed. Plans were made to expand the stadium to a capacity of 130,000, but the First World War brought these to a halt. 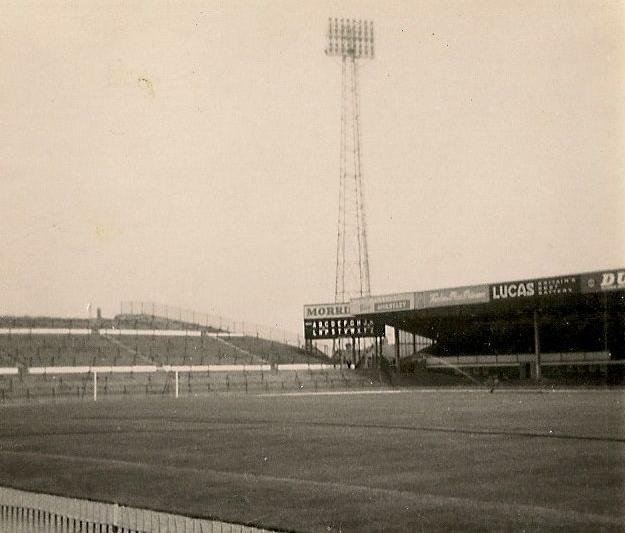 Works continued after the war though, and were concluded in 1923 when the new Trinity Road Stand opened. At that time the stadium could hold about 80,000 people. 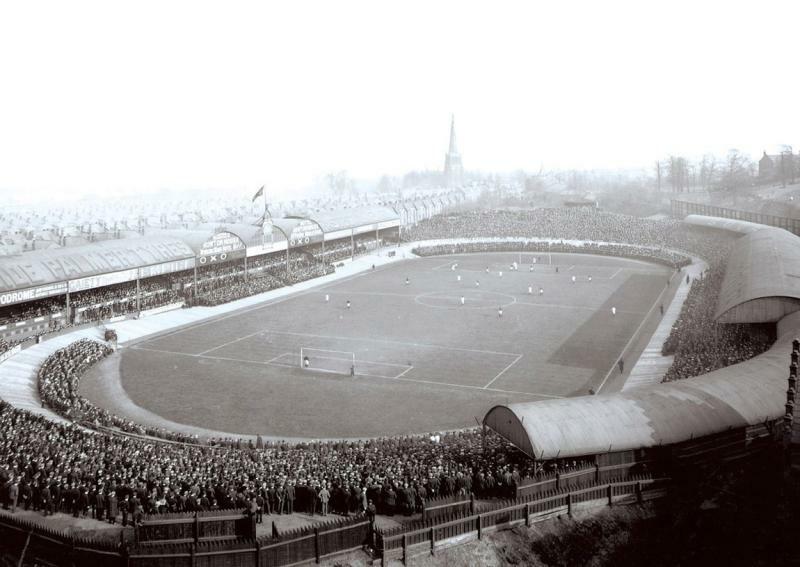 Villa Park recorded its highest attendance in 1946 when 76,588 people attended a match against Derby County. 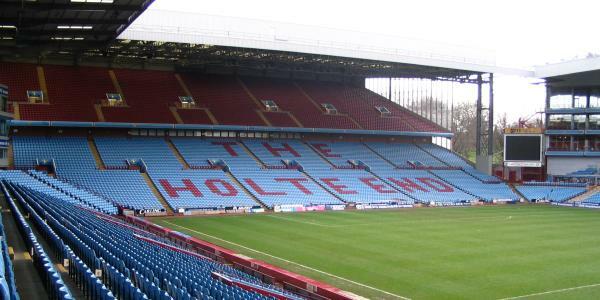 In the next decades only smaller changes were made, which included cover for the Holte End and a refurbishment of the Witton Lane Stand in 1964. Villa Park was one of the playing venues of the 1966 World Cup, hosting three group matches. The stadium underwent a next change in 1976 when a new North Stand opened in place of the Witton Lane End. The new stand led to heavy debts though, and no further changes were made until the 1990s. 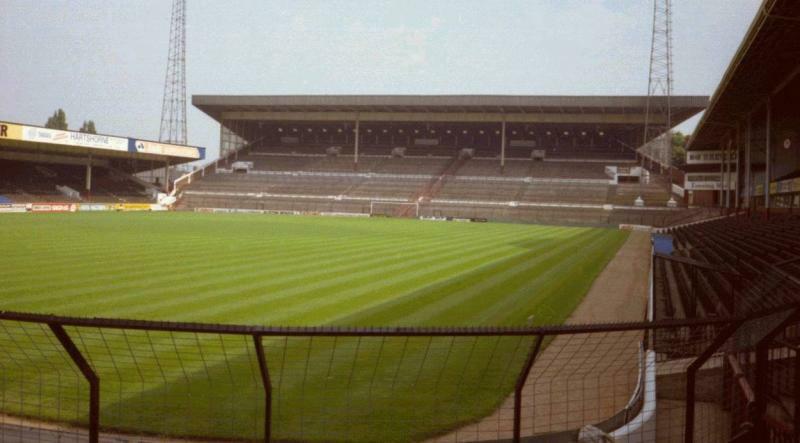 In 1993 the new Doug Ellis Stand opened, followed by the demolition and reconstruction of the Holte End. The transformation of the stadium into an all-seater was completed when the North Stand got fitted with seats. 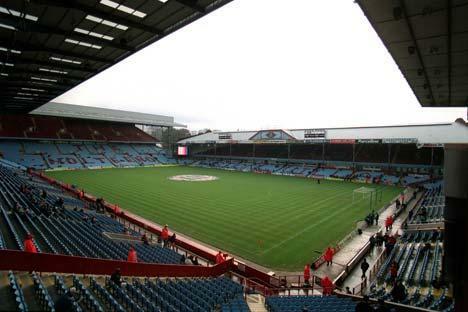 Villa Park hosted three group matches and a quarter-final during the 1996 European Championships. In 1999, it hosted the last ever European Cup Winners’ Cup final between Real Mallorca and Lazio Roma (1-2). In 2000, the classic Trinity Road stand from the 1920s got demolished and replaced by a new stand. In recent years tentative plans have been made to expand the stadium to a capacity of 50,000 by rebuilding the North Stand, but its is unlikely that these will be executed any time soon. Villa Park is located toward the north of the city of Birmingham at approximately 2.5 miles from the city centre. If arriving by car from outside the city, the stadium is best reached from the M6 motorway. Take exit 6 and follow the signs for the A38 (not the A38M). On the island turn right (A5127), and follow the signs to Villa Park. If coming from the east, one can also take exit 7 from the same motorway, and then follow the A34 south for a few miles. Passing Alexandra Stadium make sure to stay in the nearside lane and leave the carriageway before the flyover. Follow the signs for matchday parking. If using public transport, the stadium is best reached by train. Aston Station and Witton Station are just a short train ride away from Birmingham New Street Station. Witton Station is closest, a 5-minute walk to the stadium, whereas it takes 15 minutes to walk from Aston Station. Alternatively, the stadium is served by bus 7 and 11. Bus 7 leaves from Upper Bull Street in the city centre. There are few hotels in the immediate vicinity of the stadium. The Holiday Inn Express located across Star City shopping centre is probably closest, but is mostly convenient if you get in by car. You can about just walk to the stadium from there. Further toward the centre, there are a Campanile Hotel and Premier Inn. They are affordable and get good reviews, but are again most of all convenient for those arriving by car. If travelling by public transport, it is likely best to find a hotel in Birmingham’s centre, and take a bus or train to the match. For all hotels near Villa Park click here. For all options in the city centre go here. Tickets for Aston Villa matches can be bought online, by phone +44 (0) 800 6120 970, or at the Villa Village store at Villa Park. Tickets can also be bought at the same store before the start of the match. Aston Villa only very occasionally sell out. Aston Villa have divided their home games in three pricing categories. Tickets for category A matches, the most expensive, range in price from £25.00 for a lower-tier seat at the North Stand to £45.00 for a central seat at one of the long sides. Tickets for category VV matches, the cheapest, range in price from £20.00 to £37.00. Aston Villa organise guided stadium tours. Tours run three times a week on Wednesdays, Fridays, and selected Sundays. Tours do not run on matchdays, the afternoon before, or the morning after a match. They generally start at 10:30 in the morning. Tours cost £12.95, and can be upgraded with a lunch on Sundays. Tours can be booked online, or by phone +44 (0) 800 612 0970. Londonmidland.com – Check train times and buy tickets. Networkwestmidlands.com – Bus maps, timetables, and journey planner. As a Villa fan of 40+ years, it has always felt special entering this great stadium. A full Holte End is a sight to behold, and when it’s in full song it takes some beating. A fitting ground for a great club! I’ve been on most of the big grounds, old and new, but give me Villa Park any time. Which is hard to admit as a Baggie Boy! The Home – the Birthplace – of League Football. The first stadium in to host England international fixtures in three different centuries…this place is THE stadium. A club followed by Prime Ministers and Kings, it’s tempting to wax lyrical about the Football Club itself alas now is not the time to talk about Aston Villa’s many sporting achievements… let’s instead focus on why this ancient ground is of universal significance. Other grounds rightly claim their own histories but no club ground can claim Villa Park’s history: quite simply this is the birthplace of the world’s most popular sporting competition and format. A true british traditional football ground with a great atmosphere. Every stand is different and stands alone with its own character . The sheer size and noise of the holte end really does have to be experienced. I’ve Visited every premier league ground following United and Villa Park is by far the best. It has character, history and a certain look to it that stands out. You can create a excellent atmosphere in the away end and the view is quality. Villa fans can be loud on occasions.